As a blog-lover and student, I spend a lot of time indoors (in front of my computer). We have a lovely gym on campus, as well as a nature trail, and while I have used them in the past, I have become much more inconsistent with my workouts. I don't want to limit myself to only specific types of workouts, but I do want to work out at least three times a week, in some form or fashion. God has given me this body, and I need to take better care of it. In that sense, I also want to work on eating healthier (especially eating fewer sweets). As some of you already know, I do not have my driver's license. I have never taken Driver's Education classes. I don't have my permit. And while I certainly don't want to rush into driving, I think it's time to learn. I'm still nervous, yes. And I don't want to get a car (which entails paying for gas and paying for car insurance) until it's absolutely necessary. But I know that I would gain more independence and be a greater help to my family if I knew how to drive. So my goal is to get my license before 2011 is over (preferably during the summer when I am at home). This is a big one for me this year. I've had high hopes in the past of completing my manuscript, but it hasn't happened yet. This year, though, I'm setting forth a game plan. I told a dear friend about my desire to go to the Oregon Christian Writer's Conference this summer, and she encouraged me to go ahead and act as if I am going, even if it doesn't work out. So my goal is to finish my manuscript by May 31, 2011, and then polish and edit so that I can write a proposal and submit it for the conference. I'm about halfway through as of now. I love this story God has allowed me to write so far, and if it is His will I want to start taking the steps toward publication this year. Only He knows where it will go, but I think it's time to step out in faith and really set aside the time to write. 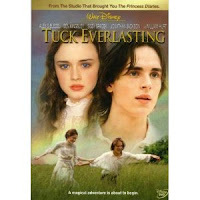 "Wake up with the Dawn"
One movie that has really touched me and blessed me is Tuck Everlasting. As a believer, I love the movie's message about not fearing death and truly living one's life. There are many great quotes from the movie, but one that I want to really live out this year is when Jesse tells Winnie, "Wake up with the dawn." If I don't have to be somewhere in the morning, I have a really hard time waking up early. (This could be partly due to the fact that I'm quite the night owl!) While I don't necessarily want to "wake up with the dawn" literally, I do want to treat each day as the gift it is and wake up earlier. I want to spend more time with the Lord, and I think it really does make a difference to start your day focusing on Him. I often wake up, get ready, and then look at my blog before rushing about with the activities of everyday life. I want to change that, and I know I can only do that through God's help. May I truly live for Him alone! Whatever our resolutions are, may we seek God's will and seek His mercy and strength in living lives that will please Him throughout 2011 and all the days of our lives. See you in the New Year! Thank you, ladies, for your awesome posts on your awesome blogs! And don't forget to visit Hannah's awesome blog, too! Looking Ahead: 2011 and "Seasons of Humility"
Thank you all for making 2010 a most memorable year for me! I can't believe it's been close to a year since I started to blog. On the other hand, I can't believe it's only been that long. Time is a funny thing! I have loved taking this journey with you. God has blessed me abundantly through "Seasons of Humility"--through your friendship, your kindness, and your encouragement. I hope this blog will be a place you'll want to visit often in 2011, as well! I'm excited to give you a glimpse into my hopes for this blog in 2011. Of course, this is by no means a list of what exactly will happen in 2011. As Proverbs 16:9 says, "A man's heart deviseth his way: but the Lord directeth his steps." And as James 4:13-15 says, "Go to now, ye that say, To day or to morrow we will go into such a city, and continue there a year, and buy and sell, and get gain: whereas ye know not what shall be on the morrow. For what is your life? It is even a vapour, that appeareth for a little time, and then vanisheth away. For that ye ought to say, If the Lord will, we shall live, and do this, or that." Sundays by the Sea--I have enjoyed having this weekly feature, even if doesn't always happen every week! ;) When I'm at school in Oregon, I'm farther from the ocean than when I'm at home in Northern California, but nevertheless I have loved taking a deeper look at this aspect of God's creation and writing devotional posts. I hope to continue this weekly feature, looking at the sea from different angles and sharing hope and encouragement with you at the beginning of the week. Mondays for the Military--Along with "Sundays by the Sea," this weekly feature has lasted through the months and become a bigger gift than I could have anticipated. It has been such a privilege to meet military men and women, as well as those who minister to them, through these posts. Thank you to all of you for making it such a success! It is my hope to not only continue this feature, but expand it--to post more regularly and introduce you to even more of our nation's heroes. I'm going to enable the comments on this feature's page, so feel free to visit and share your thoughts about the feature (and let me know about any military men and women you know who might like to be featured here!). Sightseeing by the Seasons--Let me start by apologizing for not pursuing this series more actively...yet. I haven't given up, though, and I'm thinking about bribing some of you to help me give this feature the shove it needs to take off! ;) Be looking for a post or two regarding this series near the beginning of this new year. And feel free to take a look at this feature's page. I'm going to enable the comments on this page, as well, so if you have any suggestions for me, fire away! I would love any assistance! Camp Humility--I had so much fun hosting this "summer camp" here on my blog, that I would love to do it again! Last year we had a great time rafting, hiking, telling stories around the campfire, etc. So be looking for the Second Annual Week-Long Camp Humility in May or June! End of Summer Bash--It's hard to see the end of summer approaching, knowing that the carefree days of warmth (and no homework!) are coming to an end. But end the summer with a bang and join me for the Second Annual End of Summer Bash in August, where you'll see some of your favorite authors and enjoy lots of fun giveaways! Love Finds You Blog Party--What an event this was in 2010! Join us in late fall/early winter of 2011 for another party celebrating the "Love Finds You" book series. More authors, more giveaways, and more travels to the fun and quirky towns featured in these books! 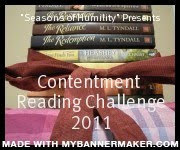 Contentment Reading Challenge 2011--This is the first reading challenge I've ever joined, and the first one I've ever hosted! The purpose of the challenge is to foster an overall attitude of contentment and encourage all those who join to look back on the books they love and read them again. You can read all of the details (and join the challenge) by going to this feature's page. The comments have been enabled. Since this is a year-long feature, there will be monthly posts regarding the challenge. Hopefully, there will be some fun extras for all who join. More information to come in January 2011! Valentine's Day Party--Original, I know. This is not the final name of the party, so no worries! ;) I have nothing official to tell you about this yet, but just know that there's a party in the works (at least in my imagination so far! ), and it should be pretty sweet! Blogoversary--The end of March marks the first birthday of this blog, which is cause to celebrate! I'm hoping to have a big party, so stay tuned! This is just a taste of some of my dreams for this blog in 2011! Of course, there will still be plenty of book reviews, movie reviews (including more PBS Masterpiece! ), themed weeks, and updates about the everyday life of Amber Stokes. ;) I can't wait to start this new year with all of you! On New Year's Eve be looking for a post about my resolutions. I love a new year! Hollie Goodnight’s store has just been voted best Christmas shop in America. All the new publicity draws flamboyant novelist Van Keaton to the cozy town of Noel, Missouri, demanding to write Hollie’s story—a dramatic tale of misfortune and triumph. She is swept up in his world of beautiful words and fanciful interludes…until Owen Quigly, her lifelong best friend, launches a plan to win her back." This is a sweet book for the Christmas season, or anytime of the year! The first story by Irene Brand, "An Appalachian Christmas," is a cute story that transports the reader to Mistletoe, Kentucky. It's perhaps a bit syrupy sweet at times, in that it has rather traditional romantic elements that aren't too surprising, but it's still a fun trip. I confess that I had moments when I was rather frustrated with Julia, the main character, and I don't know if the tension/conflict throughout the story was overly compelling for me as the reader. However, what I really liked about the story was getting to visit Mistletoe and spend some time in the mountains with the characters. There are some great secondary characters, like Granny and Bobby! The second story by Anita Higman, "Once Upon a Christmas Eve," is really fun! The plot and setting is rather unique, and the characters even more so. Holly and the two men vying for her attention, Van Keaton and Owen Quigley, are both quirky and charming. I was intrigued while reading this story, and I liked that it was a romantic story with almost outrageous elements that didn't compromise on authentic emotions. Overall, I really enjoyed these two stories. In case you haven't seen this cover in person for yourself, let me assure you that it is quite lovely. It has a sort of silvery shine to it, which I love! 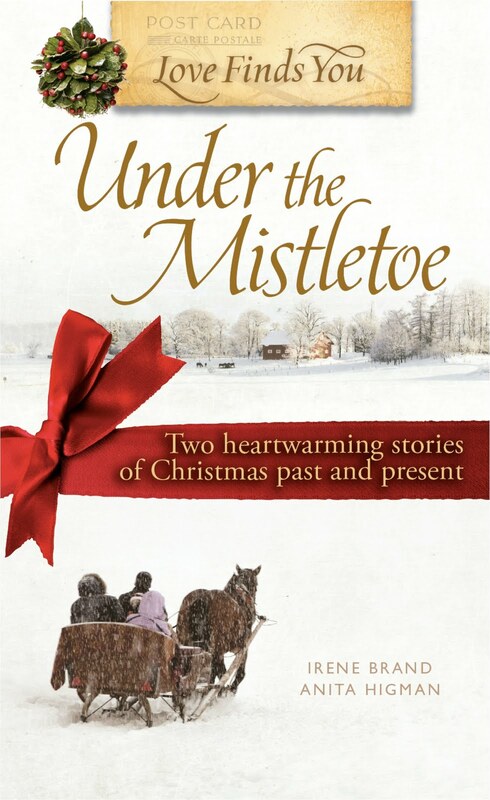 And between the covers are two stories that shine with Christmas cheer and love. Before we dive into today's discussion, I thought we could make our retreat/party even more hoppin' with some music and dancing! I recently bought a CD at Target (with a gift card from my grandparents) called "Big Band Memories." Gotta love that Big Band music! So click on the video below to hear one of the songs, and enjoy the picture of some of our Charlie Brown Christmas decorations. ;) You can settle in on the couch here and enjoy, or get up and join me in some swing dance and lindy hop! Today we're talking about our favorite books from 2010 (the books that were published this past year). I'll share my top 5 favorites with you, and count down backwards, starting with my 5th favorite. But first, I have to say that I don't know if this list is completely accurate, because I loved so many books that came out this past year, and I'm sure there are many more that could be put in this list! I should also add that there are 2010 releases I haven't read yet that could have made it on this list if I had read them by now. #5: Maki ng Waves--This was such a cute book! I really enjoyed it, and it was so fun to travel to Lake Manawa through it's pages. A great summer read (or anytime you're longing for a summer vacation!). You can read my review of the book HERE. 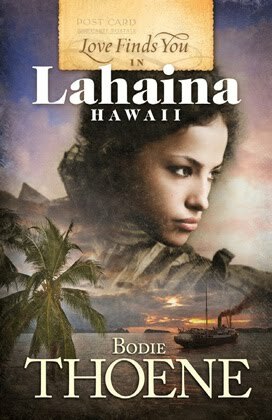 # 4: Love Finds You in Lahaina, Hawaii--This book was so unique and so epic! The cover gives you a hint of the adventure found within the pages. Very beautiful! (And might I add that purple is one of my favorite colors!) 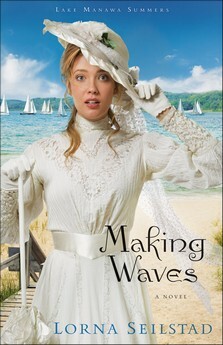 And I love that this book has an historical and a modern storyline, and the romance is so sweet. You can read my review of the book HERE. 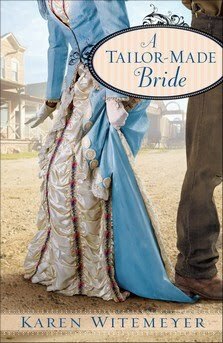 #3: A Tai lor-Made Bride--This book has it all: swoon-worthy romance, a Western setting, and well-woven-in spiritual truths. I loved it! You can read my review of the book HERE. # 2: She Walks in Beauty--This book is just plain beautiful. The historical detail is amazing, and the book is very well-written with great details that transport the reader into the past. And the romance...*sigh. * You can read my review of the book HERE. 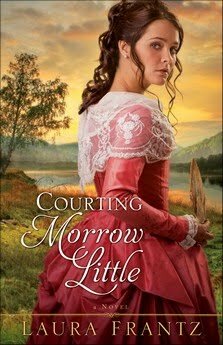 #1: Courting Morrow Little--Gorgeous! The setting, the characters, the heartbreak, the drama, the romance, the love...this book is amazing! I couldn't put it down! With a grand cover and an even grander story, this book is not to be missed! You can read my review of the book HERE. Haven't the covers been fabulous this past year? Today we're talking about our favorite movies from 2010. I'm going to cheat a little and mention my top 5 favorite movies that I saw for the first time this year. They're not necessarily movies that were released this year. Hope you don't mind! I'll go backwards through the list, starting with my 5th favorite. #5: Northanger Abbey--The winter/spring of 2010 was my official foray into the world of PBS Masterpiece. I loved Northanger Abbey so much when I watched it on T.V. with one of my college friends that I ended up buying a DVD copy! While this had already aired on PBS Masterpiece before, I saw it for the first time this past year and fell in love with the humorous and charming Henry Tilney. You can read my review HERE. #4: How to Train Your Dragon--Even though the first time I watched this was through Amazon.com Video on Demand, I was still blown away by this epic and very sweet story! I watched it again the other night (after getting a copy for Christmas) on the big screen T.V. in our home, and I was even more impressed with the animation and the music. Great movie! #3: Toy Story 3--This might actually be my second favorite of the year, but wherever it fits it for sure has to be on this list! I have loved all of the Pixar movies thus far, and the Toy Story series is no exception. This latest installment has made me cry every time I have seen it (twice in theaters, and once at home so far). Very powerful! You can read my review HERE. #2: Sherlock--What an intriguing new series! Over this past year I have fallen in love with PBS Masterpiece, and this new PBS Masterpiece Mystery version of the story of Sherlock Holmes thrilled me with it's great characters, wonderful humor, and freaky plots. I have season 1 on DVD, and I cannot wait for season 2 to come out next year!!! You can read my reviews of this series HERE. #1: North & South--While I admit that this is not a 2010 release, I saw this movie/miniseries for the first time this past year, and it is absolutely breath-taking. Simply gorgeous! Thank you to everyone who recommended this movie to me--I am so, so glad I have seen it, and that I have it on DVD so I can watch it over and over again! You can read my review HERE. "Christmas 1897. 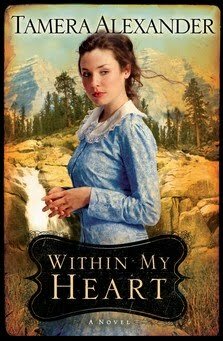 Ellen Pierce and her brother are determined to reach the Alaska gold rush. But when ice stalls their steamship, all seems lost, until Buck Lewis makes a decision: he'll lead all who dare to follow on foot toward Dawson City. Come share in a soul-deep romance that gives a joyful reminder of a redeeming God who makes us each unique, yet loves us all the same." Talk about powerful! I appreciate the themes throughout this book of love (God's love, and romantic love), uniqueness, and being non-judgmental. And I've loved stories with this sort of setting for years: the Yukon, mining towns, gold rush, etc. For a short story, The Snowflake sets forth quite the journey! However, the other side of that token is that this book could probably be continued/extended. 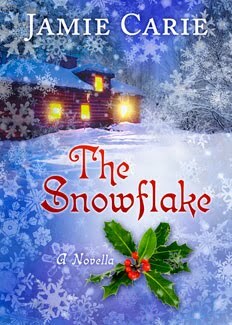 I think The Snowflake would make a great full-length novel, especially because the two main characters (Buck and Ellen) could use some more time to get to know each other. Also, a big issue at the beginning of the story is Ellen's brother's state of mind, and the way that this "issue" is resolved is a bit disturbing and leaves the reader wondering about Ellen's heart attitude (although she did have her share of suffering). There's just so much going on in the first part of the book, and I'm not sure it was completely explored in a way that fully satisfies. All in all, though, The Snowflake shows the wonder of forgiveness and love, and it's a story that is hard to put down! Welcome to the "Countdown Retreat" here at "Seasons of Humility!" I've really been wanting to host a "retreat" to welcome the new year, so come on in and make yourself comfortable for our little cabin getaway. I'll get the fire started! I'm not a great cook or anything, but if anyone wants to help me maybe we can make some home-made bread! Now, while the bread is baking I'll give you the scoop on what's going on during our party! While we're counting down the days to the new year, I'm going to give you some "favorites" lists for 2010. These lists will include favorite posts, favorite books, favorite movies, etc. It might be kind of hard to limit myself on my favorites, but I'll give it a try! And after all of our looking back and reminiscing, we'll do some looking ahead. I'll give you a glimpse of some of my plans for 2011--what themes/schedules I'll be keeping, and what new things I'll be adding. I'm always excited about a new year! Also, I think I'll be mixing in some reviews for you, including book reviews and maybe a movie review or two. I hope you'll have fun at the party, and I look forward to celebrating a new year with you! To start things off, I'll give you a list of my favorite posts of 2010. Everyone gather around the table and fill up your plates with some munchies before we start our discussion. We've got grapes and orange slices, cheese, some of my mom's homemade fudge, the bread (once it's finished baking! ), and some sparkling apple cider! Dig in! Beautiful Oregon (July 11): I love our family's annual trip to Sunriver, Oregon, and this post contains pictures, a video, and some of my thoughts on our wonderful trip this past summer! An Unbelievable Experience and Remembered (July 14 and 15): I was so blessed to go to Washington D.C. with my dad and some of his side of the family to see my great-uncle's funeral service at Arlington National Cemetery. The cargo plane my great-uncle had been on crashed over Burma during WWII. The videos in these posts contain some of the pictures from our trip. My time in D.C. was amazing, and God used it in such a mighty way in my life. I think I still don't know the extent to which it blessed me! Touched by an Epitaph (August 12): This is one of those posts I couldn't have really planned. It is based off of an episode of Bonanza that I had just seen--one that touched me in a big way. Sunday by a Waterfall (October 10): A twist on the "Sundays by the Sea" devotional posts, this post is based off of a day trip my parents and I made when they came to visit me at school in October. Sunday by the Sea (October 31): Another devotional post, this one is based off of some of the thoughts I had been ruminating on about the movie Finding Nemo. I love Pixar movies! At the risk of sounding repetitive, this blog has been such a blessing to me! And while I love writing the posts (because they cause me to think, to remember, and to challenge myself), I really love the friendships I have been given! Thank you all for your comments and your encouragement, and I hope that the posts on this blog have been at least half as encouraging to you as you have been to me! If you have some time, I'd love to hear which posts were especially meaningful to you this past year, and which posts you would like to see more of. Thank you! I hope all of you have a wonderful Christmas with family and friends! I am so blessed to know each and every one of you--your friendship is such a wonderful gift to me! As we celebrate Christmas, may we remember Linus' response to Charlie Brown's question: "Isn't there anyone who knows what Christmas is all about?" I'll be back soon after Christmas to start getting ready for 2011! Until then, have a very merry Christmas! My dear blogging friend, Hannah over at Project Journal, interviewed me for her Christmas Blogfest! Today's theme is friendship, and I have to say that I am so very thankful to be friends with Hannah. She is so sweet!!! If you have the time, I'd love to have you stop by and read the interview. And if you leave a comment over there (not here! ), you can be entered for a $10 Amazon.com gift card!!! See you there! And don't forget to read today's earlier post, where guest blogger, Joy from Edgy Inspirational Romance, shares her review of Maid to Match. Thank you! Today Joy (from Edgy Inspirational Romance) and I have swapped blogs! Joy is here to share her review of Maid to Match, and I'm over at her blog reviewing Let Every Heart Prepare Him Room (a family devotional). Enjoy the reviews! If I measured the heat level of a romance by how many times I dog eared the pages to come back to them, then Maid to Match would be like a summer in Arizona. This inspirational romance was steamy, just the way I like 'em. And just so we're clear, a steamy inspirational means lots of restrained passion, not graphic descriptions. Deeanne Gist has a way with writing dialogue- romantic one liners that just rip at your heart and bottom out your stomach (there's a scene involving shirt measurements that made me swoon). If you've been reading my blog, you already know I'm a huge fan of Gist's work. But I'd place this latest book in her top three, along with my dog eared copies of A Bride Most Begrudging and The Measure of a Lady. Mack and Tillie are both likable characters with hearts for God. I found the premise of a romance between house servants at the Biltmore Estate unique, and I got such a kick out of exploring the setting- turn of the century North Carolina. One of the thrills of reading a great book is discovering new places, and Maid to Match delivered on that account too. The author hinted at a mountain man culture in that area that I'd never heard of. And the details she included about the Biltmore Estate made me wish I could visit. I definitely recommend you put Maid to Match on your must read list! From the day she arrives at the Biltmore, Tillie Reese is dazzled- by the riches of the Vanderbilts and by Mack Danvers, a mountain man turned footman. When Tillie is enlisted to help tame Mack's rugged behavior by tutoring him in proper servant etiquette, the resulting sparks threaten Tillie's efforts to be chosen as Edith Vanderbilt's lady's maid. After all, the one rule of the house is no romance below stairs. But the stakes rise even higher when Mack and Tillie become entangled in a cover-up at the town orphanage. They could both lose their jobs, their aspirations...and their hearts." When Lord Hamlin, the future duke, is injured, it is Rose who must tend to him. As she works to heal his wound, she begins to understand emotions she’s never felt before and wonders if he feels the same. But falling in love is forbidden, as Lord Hamlin is betrothed to a mysterious young woman in hiding. As Rose’s life spins toward confusion, she must take the first steps on a journey to discover her own destiny." This is an intriguing, historical twist on a romantic fairytale! The historical details are wonderful in drawing the reader into this half-reality, half-make-believe world. The characters are ones older teen readers (as well as many adult readers who are young at heart) will be able to relate to. The book is well-written, with a plot that was different enough to keep me turning those pages, especially with so many sweet, romantic scenes! One thing that is for sure about this book, though--the evil represented is completely evil! It was a bit disturbing to read about demon possession, especially since the main character was supposedly a believer. Some of those close-to-final scenes were unnerving, but (at the risk of possibly giving something away) I was pleased that good did triumph over evil in the end. Overall, though, the story was a very interesting one to read, and the romance was very enjoyable! The Healer's Apprentice shows true love to be sacrificial, caring, and humble, and that's what makes the story great. Coming home for Christmas break this year was a rather long and arduous process, but also a blessing in ways I would never have expected or planned. It's such an amazing story, I simply have to share some of it with you! So if you have some time, grab a cup of hot cocoa and a few pieces of Christmas fudge and join me as I recount my experience! The shuttle ride from Salem to the Portland Airport was a little over an hour, and I had several hours before my scheduled flight, so all was well . . . until I checked in. The lady who helped me was very kind, and said that I could get switched to the earlier flight since I was there early. Which was all well and good, until I looked at the departure time on the ticket as I checked in my bag. The departure time was around 10:30 AM, and it was already after 10:00 AM. I still hadn't even gone through security! The flight from Portland to San Francisco was nice. I just love flying and looking out at God's beautiful creation from such a magnificent height! Although I confess that I spent much of that flight napping--but naps are nice, too! When we landed in San Francisco, I rushed to the gate where my connecting flight (from San Francisco to Arcata/Eureka) was supposed to be. We had arrived about 10 minutes before my connecting flight was supposed to board, which would have been great . . . except the flight was delayed about an hour. Not too bad. Waiting until 5:00 PM was no problem. And then came the announcement that the flight was delayed until 6:50 PM. I was bummed. I called my parents and was talking to them, all the while noticing that the acquaintance I had made in Portland was standing nearby. It was nice to see a familiar face, because, believe me--that airport was crowded! The rain, fog, and wind, typical of San Francisco, were causing a long stream of delays. Anyway, my dad told me I should go get something to eat. So, my new-found friend tagged along with me, and we ended up eating fast food together, talking about our hometown and school, etc. Then we went back to the gate and talked some more while we waited, hearing the continued announcements of our delays: now 7:20 PM, now 7:50 PM, and finally a switch to a different gate. It was there that the awful news came: our flight was canceled. I was horrified. I didn't want to stay the night in San Francisco, especially in such a crowded terminal. I stuck by my new friend as we headed towards the long line at customer service. I could be exaggerating, but that line was about as slow as they come. Everyone was dejected. So many flights were canceled, and we all just wanted to get home. I knew I wouldn't actually get sick, but I got that feeling that I wanted to--either that or break down and cry. But I didn't, and finally we got to the front of the line. All of the flights to my destination were canceled for the night. All of the flights on Saturday to my destination would be stand-by. Nothing was guaranteed until Sunday morning (if then). There was no way I was staying in San Francisco until Sunday morning. I knew my parents would come and get me the next day if they had to. But my friend and I had found a nice woman who was willing to let us carpool with her in a rental car back to our hometown. To be honest, I don't think I would have been brave enough to concoct such a scheme on my own. But my friend had done something like it before, and if he was going, then I felt safer. I think this is where I should tell you one of the absolutely crazy things about that day--when I told my parents my new friend's first name, they asked for his last name excitedly and told me that they had known him when he was just a little boy! His dad had worked with my dad on a project! And to think, I was going to a college in Salem, he was going to one in Portland, and we both ended up on the two exact same flights headed home on the same day. He had even been originally planning to go home on Saturday, but his mom bought him tickets for Friday! It was completely and totally orchestrated by God, and I am just in awe of it all still. And now back to the carpooling . . . When we went to rent a car, we met up with two other people heading for Eureka, as well. We decided to rent a minivan and all carpool together. It was risky going with (almost) complete strangers, but I felt it was the best option. And it was. I'll spare you all the details of that 5 hour ride home in the dark and the rain. Let me just say that I was praying a lot, oftentimes scared to death when I felt we were accelerating, unsure as to whether or not I could trust my life in these strangers' hands. But then God reminded me--my life was in His hands, not theirs. And as frightened as I was throughout the ride back, I knew God was right there with me. I was reminded that no matter what the outcome of that ride, God would never leave me. I had to trust in His will. I arrived safely home--delivered right to my doorstep with no money required of me--at around 3:30 AM Saturday morning. It had been a long, long night, and as soon as I saw my daddy open the door, I fell into his embrace and cried. There were more details involved in the story, but I'm sure you get the idea that, while it was one of the worst travel days of my life, it was also one of the most amazing ones, as well. I am reminded of the pastor's sermon at my parents' church yesterday morning. Part of the sermon was about miracles, how often they come about after long periods of suffering and intense pain. And that only makes sense, because the miracle truly shines bright when it comes after such difficult darkness. It was just one day, and I'm sure I suffered little compared to those who waited in the airport for a day or more, all just hoping to get home. But I consider this journey that I went on--the people that I met and the closeness I felt with God--a miracle. And now I'm sitting here at my desk, safe and warm in my home, listening to the pounding rain outside. It is just so wonderful to be home with my family! I know this was a long story, but thank you for taking the time to read it. It is my hope that God will glorify Himself and bless others through this recounting of the gift He gave me in the form of my very own Christmas miracle. Congratulations to Hannah (Project Journal)--you are the winner of the $35 CSN Stores gift code!!! Thank you to everyone who stopped by to let me know what gifts you're giving to others this year. It was so fun to hear from you! May you all have a merry Christmas! And thank you to Kate from CSN Stores for allowing me to do this giveaway and providing the gift code for the winner! In a culture that mocks our longing for tender romance, in a world where fairy tales never seem to come true — do we dare hope for more? For every young woman asking that question, this book is an invitation. With refreshing candor and vulnerability, bestselling author Leslie Ludy reveals how, starting today, you can experience the passion and intimacy you long for. You can begin a never-ending love story with your true Prince. Discover the authentic beauty of a life fully set-apart for Him. Experience a romance that will transform every part of your existence and fulfill the deepest longings of your feminine heart." This book is full of authentic, beautiful truths, and so much to take in that it's almost overwhelming! One of my dear blogging friends, Amanda, put it so well when she said that the author and her husband leave the reader "blessedly convicted" through their writing. So true! I certainly felt convicted seeing how short I fall of truly living every moment fully for the Lord. How often I allow myself to get distracted, even while knowing how important it is to passionately guard my time with the Lord--praying, reading the Bible, and worshiping Him. But I also felt blessed to be reminded of the preciousness of the relationship I have with God. There is so much to glean from these pages! Leslie Ludy does a wonderful job of pointing readers to God and reminding them of their need to focus always on Him. It is so easy to get sidetracked in this world, and so hard not to dwell on earthly romances (or the lack thereof). But God is so good, and there's absolutely nothing that can compare with spending time with Him and knowing Him! One of the few things that perhaps frustrated me a little about the book was the repetition. Certainly, there is nothing wrong with repeating important points so that the reader is sure to understand the main message. However, I think the repetitiveness of specific words and phrases was a bit overdone, although this is just one reader's opinion! Overall, though, I have been inspired by the Ludys' example. The inclusion of Eric Ludy's articles was helpful in gaining a good perspective of masculinity and how that affects femininity. And now that I've finished the book, I know I have so much I need to think about and actually apply to my life! If a book challenges you to draw closer to God and encourages you to put Him first and seek His will, then it's a book worth reading--and this book was both very challenging and wonderfully encouraging! "A mysterious outsider casts a long shadow on Ohio’s Amish country. Policewoman Rachel Troyer has always looked after her three elderly Amish aunts, proprietors of a farmhouse inn near Sugarcreek, Ohio. The idyllic town is popular with tourists, who come to sample its famous Amish goods. But one thing is clear to Rachel—Joe Matthews is no tourist. When the bearded stranger lands on her aunts’ doorstep, begging shelter for himself and his young son, Rachel is suspicious. Will she be able to uncover Joe’s secrets despite her aunts’—and her own—growing affection for him?" Just like the cover, this book presents both light and dark: from the sweetness of three older Amish women, a father desperately trying to protect and care for his son, and a woman determined to seek the truth; to the fear of running away from the past, a murder, an undiscovered killer, and a world pressing in on all that is innocent. While this book starts out rather gently, setting the scene with a vague sense of mystery, the second half follows at a faster pace with a lot of intrigue and drama. It was quite a different sort of story, in a good way! There was a lot going on in this novel, and plenty of characters to fall in love with (and some to be very wary of!). The three Amish aunts are so dear and kind, and their unconditional acceptance of a stranger and his young boy is touching. Their niece's desire to protect them at all costs is also very touching. And did I mention that this niece happens to be a policewoman with an overwhelming need to solve mysteries? Cue a mysterious, handsome man on the run (with his son), and you've got the ticket to an unusual and exciting love story! This book is very unique, with authentic, intriguing characters and an interesting plot. I love how the story all tied together, and the epilogue was great...with a cute little twist. 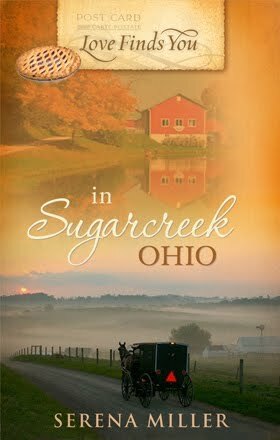 I enjoyed my "visit" to Sugarcreek, and I recommend taking a trip to the Sugar Haus Inn through the pages of this book! And tomorrow morning I will start my journey home! It's true what they say: "There's no place like home for the holidays." I can't wait to see my family again! Mom, Dad, Emily, Grandma, Grandpa, Uncle Billy, Muffin Man (Emily's cat), Mr. Murphy (my cat), Shadow (my uncle's dog), and Candy (my sister's bunny) . . . I'm coming home!!! Can't wait to see you all!!! And to my dear blogging friends, be looking for a book review or two, a "Book Blog Swap" with Joy from Edgy Inspirational Romance, a Christmas interview on Hannah's blog for her "Christmas Blogfest," and other fun posts in the coming days before Christmas! "How many Christmas mornings have you found your family gathered around the tree with presents beautifully wrapped and a scrumptious feast on the table, but with hearts that have not been prepared to truly take in the wonder of God become human? Not this year. 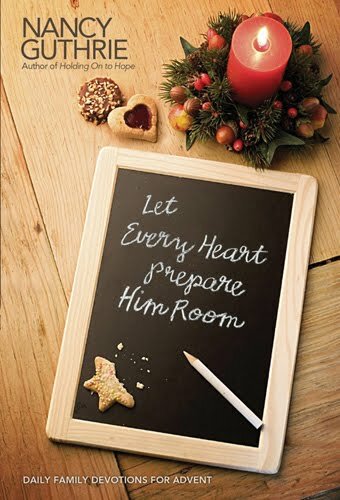 Let Every Heart Prepare Him Room, a family Advent devotional from Bible teacher and mom Nancy Guthrie, is designed to bring your family together during a season that is oftentimes too much about programs and presents, and simply not enough about Jesus. Along with devotions for every day in December, this resource includes explanations of some hard-to-understand aspects of popular Christmas carols, and discussion questions to draw in your elementary through high school-aged kids, transforming this time together from a dry lecture into a treasured family experience." This is a beautiful book for the whole family to go through together during the Christmas season! With focused devotional pieces on Jesus' birth (and the surrounding events), prayers, questions to ponder, verses, hymns, and places to write down the family's thoughts, this book goes in depth into the true reason we celebrate Christmas. We have to clear other things--even good things--out of our schedules if we want to make time to listen to him by reading his Word and talking to him through prayer. Wouldn't a better question to ask each other be, "What are you giving for Christmas?" Because of what Christ accomplished on the Cross, we can be friends with God instead of his enemies. If we're not careful, ordinary life can cause us to lose our sense of wonder over Jesus' coming. I loved that this book included hymns for the family to sing together, along with explanations of the hymns that are helpful. And I also loved that the pieces for Christmas Eve and Christmas are solely Scripture reading (with a hymn following each)--emphasizing our need to spend time in God's word. While this is a family devotional, I would recommend it more for older children, teenagers, and their parents. I think this material would still be good for younger children, but some of the concepts discussed might be a bit hard for little ones to grasp. That being said, I highly recommend this book! I read it before Christmas break, so I haven't had the chance yet to read it with my family. But I think whether this book is read alone or with your family it is a beneficial read full of great reminders! An Early Christmas Gift from CSN Stores! Yes, this Christmas gift is for you, my readers! CSN Stores is offering a $35 gift code (to use on any of their sites) to one lucky winner from this blog! This giveaway is open to my U.S. and Canadian readers! Leave a comment sharing what one of your favorite gifts you're giving this year is. If you're afraid the person you're giving the gift to might read this post, then feel free to leave a comment sharing about a gift you loved giving in the past. Please remember to leave your e-mail address in the comment. You can gain one extra entry for being a follower of this blog. The drawing ends Sunday, December 19th at 9:00 p.m (PST), and a winner will be announced on Monday, December 20th. Hope you are all having a wonderful holiday season so far, and merry (almost) Christmas! I am so pleased to introduce Naval Commander Nancy Williams to you today! Commander Williams helps with a program called Honor Flights. Be sure and watch the movies that follow the interview, as well--with tissues handy! Amber: Thank you for joining us today! To start, could you share with us a little bit about yourself and why you chose to join the U.S. military? Commander Williams: I entered the USNR in 1986 through the Direct Commission Officer Program. I was able to come in as an ENS due to my degree and work experience. They asked for an 8 year commitment...that was 24 yrs ago and I'm still serving. I basically joined because I love my country. I graduated high school in 1971 at the end of Vietnam when no one was talking to us about serving our country. I went to college and became a teacher. Amber: Thank you so much for serving our country with such dedication! Could you give us a brief description of the Honor Flight program you help with? Commander Williams: Honor Flight Programs were the brain child of a group from Springfield, OH, who wanted WWII vets to be able to visit the newly finished Memorial in DC. It has grown nationwide with each state sponsoring their own flights. Here in AR Walmart and Tyson Foods are our sponsors for two flights annually. It is a charter flight taking about 100 veterans and 50 guardians for the one day trip. I accompanied my father on the first flight and volunteered to make calls and assign guardians, etc. I probably volunteer at least 30 days on each flight. Amber: How long have you been involved with the Honor Flight programs, and how would you describe your overall experience? Commander Williams: I began working with Bill McKenzie (Tyson Foods) in the spring of '09. It is - by far - the best use of my time. These veterans are so appreciative of the opportunity to make the trip. Many of them meet and establish friendships and social contacts with others like themselves. I work part time at Lowe's here in Bentonville. We give a discount to veterans. This gives me a chance to "sell" the program to my customers. If they say they served during WWII I ask if they have heard of the flight, etc. This opens many doors and allows the information to get out. Amber: It sounds like such a rewarding program for everyone involved! How have you seen God at work in your own life and in the lives of the WWII veterans you are serving? Commander Williams: I was raised in a Christian home and have never really known life without Christ. As an adult - aging adult..ha...I can't imagine how people function without giving God praise for all aspects of one's life. Amber: Have you learned anything about humility during your own service to the United States or through helping with the Honor Flight programs? Commander Williams: As I stated previously, the veterans and guardians (many are children of veterans) are so humbled by the flight and the care and love that is shown to them. When the flight is met at DCA uniformed personnel are in the Jetway. The veterans think this is the extent of the welcome. Tears begin to flow and they are so moved by the show of appreciation. Little do they know that waiting in the terminal can be over 100 people waving flags and clapping for them. The USO does an amazing job with the coordination of the flights. Sometimes 5 or 6 will come in on one day. Amber: What a special experience! To conclude, how can we pray for you and all those in the United States military? Commander Williams: Prayers for our leaders is an ongoing issue. We need to remember them and their power in the issues that will affect our future. So many of the military are so young...they have joined the military to support their families during this time of financial strain. The military is guaranteed salary and benefits during this desperate time. A 22 yr old Marine from Bentonville was killed last week. He has a wife. So sad. Amber: May the Lord comfort the late Marine's family, and all those who have lost loved ones in the military. Thank you for taking the time to visit with us today, and thank you for telling us more about this amazing program you help with! Readers, CDR Williams shared these videos with me that talk about the Honor Flight programs. They are very moving, and they give just a glimpse of how meaningful these opportunities are for the veterans. If you needed tissues for the one above, you might need them for this next video, too! "Can mysterious matchmaking booksellers bring two lonely hearts together in time for Christmas? This year, will Simon and Cora discover a perfect chemistry in their opposite personalities and shared faith? Or will the matchmakers’ best laid plans end up ruining everything this holiday?" What a quirky, sweet read! Part contemporary romance, part fantasy, part Christmas story, and part family drama, this book fits a lot into a novella. It's such a curious read that I got caught up in its enchantment and read it all in one day! The main characters are well-developed, with real struggles and dilemmas. And the secondary characters are delightful. I just love the matchmakers on Sage Street, and Simon's family is so fun, especially his sister, Sandy! The characters are all so vastly different, but come together to make this one very entertaining read. The only problem with this being a novella is that the story seems to end rather abruptly. It's wrapped well and offers satisfaction, but at the same time the ending develops quickly and leaves a lot unsaid. The issues between Cora and her family, while slightly addressed, are troubling. But in traditional fairytale fashion, there's a "happily-ever-after" that offers hope for the untold parts of the story. If you're looking for a different holiday story--with romance, eventual reminders of the need for understanding and forgiveness, and a touch of magic--then this book is for you! And I simply have to add that this has an absolutely gorgeous cover: a hardcover with raised accents, a beautiful background scene, and great color coordination. Love it! I know it's not quite 2011 yet, but in preparation for the coming year I have decided to put together my own reading challenge. I'm really excited about it, and I would love for you to join me! I don't know if the re are any rules for creating reading challenges, and I don't know if my reading challenge is really that unique, but the "Contentment Reading Challenge" I'm hosting is one that is based on something I need to work on in my life--being content with what I have. It's a struggle for sure, but I truly have so much to be thankful for! In light of eternity, all of the "stuff" I have has no lasting value in and of itself. If the stories I read turn me to God and remind me of His truths, then they have value in that sense. But I digress. ;) The point is that I have so many wonderful books, but I'm constantly thinking about what new books I can get my hands on. So the "Contentment Reading Challenge" is one where I (and anyone who cares to join me) will be re-reading some of the books that I already own. I'm looking forward to re-visiting some of my favorite books! If you'd like to join the challenge or just read more about it, click on the "Contentment Reading Challenge" page link in my sidebar. I've enabled comments for that page so anyone can join, ask questions, or just leave feedback about the challenge. Hope you get a chance to check it out! Also, throughout the year I'm hoping to have posts dedicated to this reading challenge. It would be great if we could make this a fun, group effort! This challenge officially starts on January 1, 2011. Can't wait to hear what you think! "Sometimes the greatest step of faith is taken neck-deep in fear. From the beloved, bestselling author of From a Distance and Beyond This Moment comes an unforgettable story about faith in the face of fear, about tarnished hopes and second chances, and ultimately about the resilient courage and tenacity of hearts broken——and mended——by love." It was with tears and bittersweet emotions that I finished this book. Alexander has an amazing God-given talent for writing with depth, using gorgeous imagery and dialogue to describe God's creation and to explore the workings of God in our lives. To be honest, this particular book took me a long time to read. It wasn't like the first in this series (From a Distance), where I stayed up into the wee hours of the morning desperate to know what would happen and reveling in the sweet romance. I received this book several months ago, and yet even when I started reading it, I often set it aside. The writing was lovely, but this book was hard to read because of the heaviness of its themes. I was intrigued with the plot but not engrossed by it. Not until over halfway through. Once I got near the end, the tears began to flow. It was one emotional blow after another, and yet I wasn't in despair. I was completely blessed and moved by the impact of Alexander's insight--insights (I later learned from her note at the end of the book) that came from her own personal experience. I had heard some about what Alexander had been going through in the past year or so and why this last book in the "Timber Ridge Reflections" series was delayed in its release. But actually reading this book and seeing how her own journey impacted her writing--I was blown away and touched by what was within HER heart. This book is not an easy one to read. There were times when it was almost painful. But I can guarantee you that this is very much a worthwhile read. The lessons about love, forgiveness, and courage are profound. And the honesty with which the characters face death and the hope that all those who believe in the Lord can have is heart-breakingly beautiful. This is a definite must-read! "Love Finds You" Blog Party Finale! Thank you all so very much for making this "Love Finds You" Blog Party such a blast!!! I had so much fun reading your comments, learning about your favorite Westerns and Hershey products, and gathering your yummy holiday recipes! Renee Ann from Doorkeeper for making the lovely blog button for the party! Casey from Writing for Christ for contributing the book and bracelet to the grand prize package! Authors Anita Higman, Cerella Sechrist, Elizabeth Ludwig, and Miralee Ferrell for all of their help in making this party so exciting! Thank you for contributing your time and copies of your books--you are much appreciated! This party was to celebrate you and all of the other authors who write books for the "Love Finds You" series! Now, I'm sure you all are eager to find out who the winners are! Well, I'm going to be a little mean and keep you in suspense a while longer. ;) All of the winners have been sent e-mails, and I will post their names here below the images of their prizes as soon as I hear back from them. So keep checking in to discover who the winners are! The grand prize winner is: Charlotte! The door prize winner is: Keli! The winners of Love Finds You Under the Mistletoe are: Maureen and Ellie! 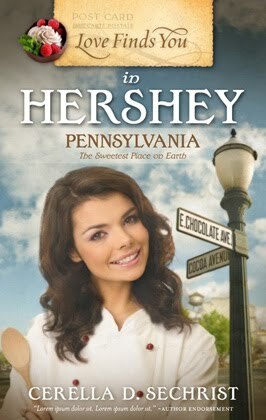 The winner of Love Finds You in Hershey, Pennsylvania is: Casey!!! 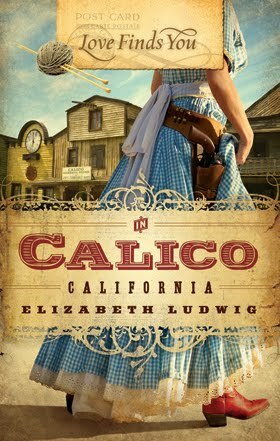 The winner of Love Finds You in Calico, California is: Barb! 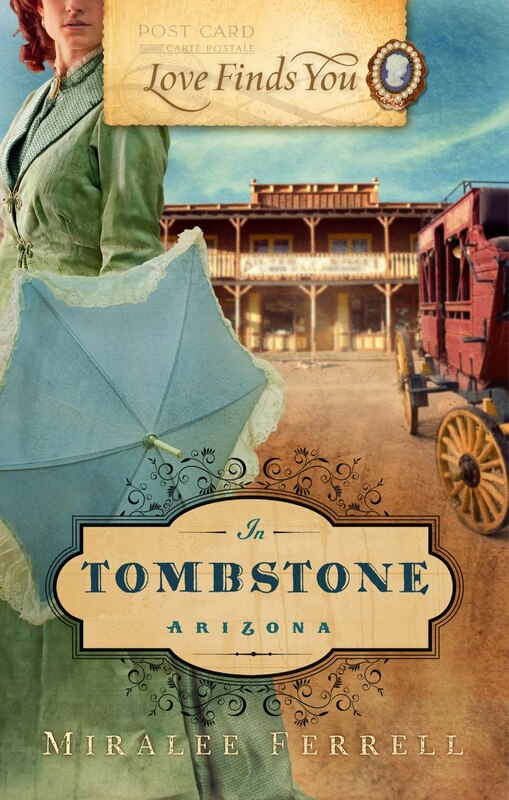 The winner of Love Finds You in Last Chance, California and Love Finds You in Tombstone, Arizona is: Andrea! To get the conversation started, let me reassure you that just because this party is over, it doesn't mean the good times will end here at "Seasons of Humility!" In fact, I've got several posts I'm quite eager to write, and I've had to wait until after the party to do so. 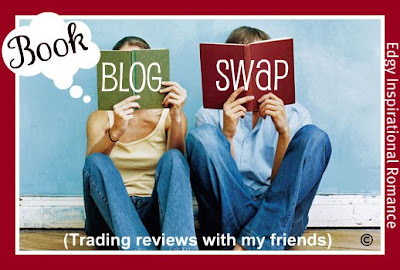 Among those posts are a "Book Blog Swap" with Joy from Edgy Inspirational Romance, a couple of book reviews, a moving "Monday for the Military" interview with videos, and a post about reading challenges for 2011! So stay tuned! And has anyone gone to see the new Chronicles of Narnia movie, The Voyage of the Dawn Treader? I'm hoping to see this over Christmas break with a dear friend and my younger sister. Can't wait! Click HERE to watch the trailer and let me know what you think! You know what else I can't wait for? The new PBS Masterpiece Classic season!!! The schedule has been announced for winter/spring 2011, which you can find HERE along with a trailer of the first, new featured miniseries! Well, I hope I didn't overwhelm you with all of my eagerness! Enjoy the cake and feel free to dance and chat to your hearts' content. ;) Thank you again for coming to the "Love Finds You" Blog Party! Love Finds You in Unlikely Places! 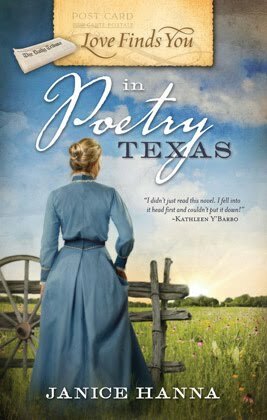 You wouldn't think of towns named "Last Chance" and "Tombstone" as settings where love would normally find you, but today's guest Miralee Ferrell has written love stories set in those very places! 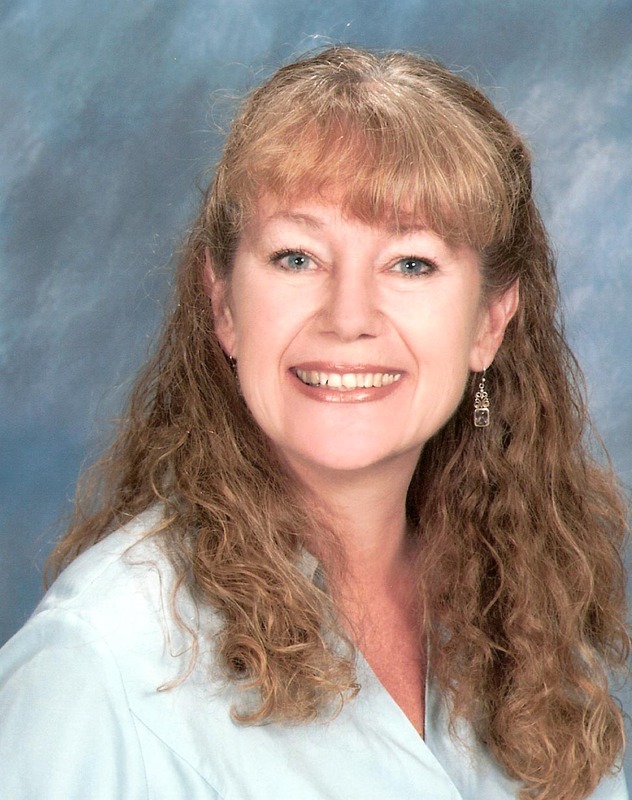 Miralee is the author of three "Love Finds You" books, including Love Finds You in Last Chance, California; Love Finds You in Bridal Veil, Oregon; and the February 2011 release Love Finds You in Tombstone, Arizona. From Summerside Press: "It's 1877 and Alexia travers is alone in the world. Her father has died unexpectedly, leaving her burdened with a heavily mortgaged horse ranch. Marrying one of the town’s all-too-willing bachelors would offer an easy solution, but Alex has no interest in marriage. Instead, she dons men’s trousers and rides the range, determined to make the ranch a success on her own. 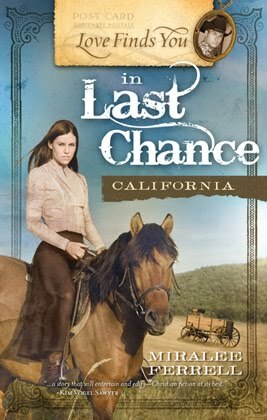 But despite Alex’s best efforts, everything seems to go wrong: ranch hands quit, horses are stolen, and her father’s gold goes missing. Alex is at her wit’s end when wrangler Justin Phillips arrives in Last Chance with his young son, looking for a job. But there seems to be more to Justin’s story than he’s willing to share. Will Alex ever be able to trust him? More importantly, will the independent woman finally learn to depend on God?" From Christianbook.com: "Christy Grey thought she had buried her past when she left Tombstone. Now she's back to find her mother ill and her brother drowning in gambling debt. Must she return to her saloon job? Outlaw Nevada Keene is afraid Christy recognizes him from a stagecoach robbery. He wants to go straight. Will Christy turn him in?" Today's interview is going to be a little bit different than the previous interviews we've had this week...and that's because you get to ask the questions! That's right--Miralee has offered to stop by and answer your questions about writing, research, and anything else you might want to know about her and these "Love Finds You" books! One extra entry: Become a follower of Miralee's blog, or let me know if you are already a follower. One extra entry: Become a follower of this blog, or let me know if you are already a follower. And while we're talking about love finding you in unlikely places, I think it's safe to say that a huge tower in the deepest part of the woods is a pretty unlikely place, right? ;) Yes, I am talking about the new Disney animated movie Tangled (click HERE to read my review). And what's a party without a few laughs? So go check out this preview and this preview for a giggle and/or chuckle, and then come right back here to have a good chat with Miralee! Ready those questions and fire away! And don't forget to enter all this week's giveaways before tonight, because I'm going to be drawing winners after 9:00 p.m. PST and announcing them in tomorrow's post! Love Finds You in the Wild West! Love Finds You Immersed in Chocolate! Love Finds You at Christmastime! 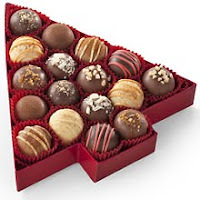 "Love Finds You" Blog Party Giveaways! Setting the Mood with a Pre-Party Activity!